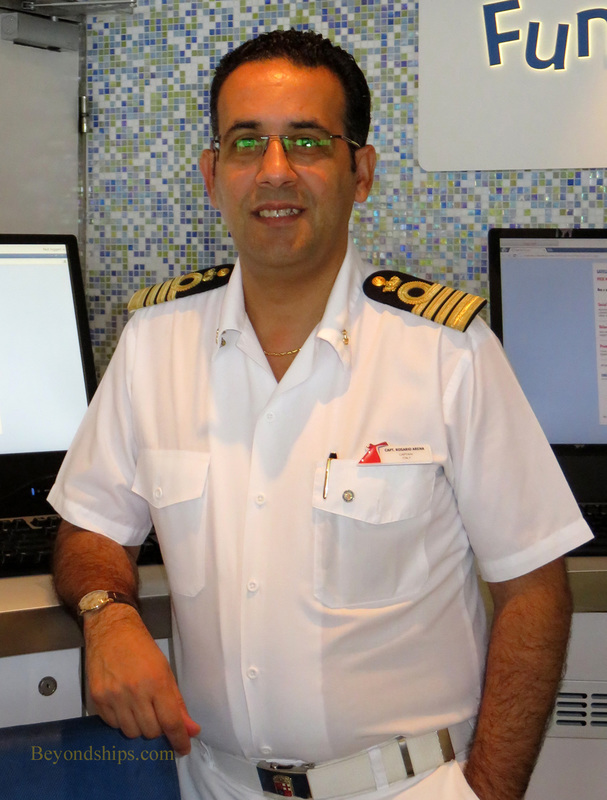 Captain Rosario Arena has sailed on or commanded almost all of the Carnival ships. (See profile of Captain Arena). Thus, he is well-placed to explain how his latest command, Carnival Sunshine, fits into the Carnival Cruise Lines fleet. 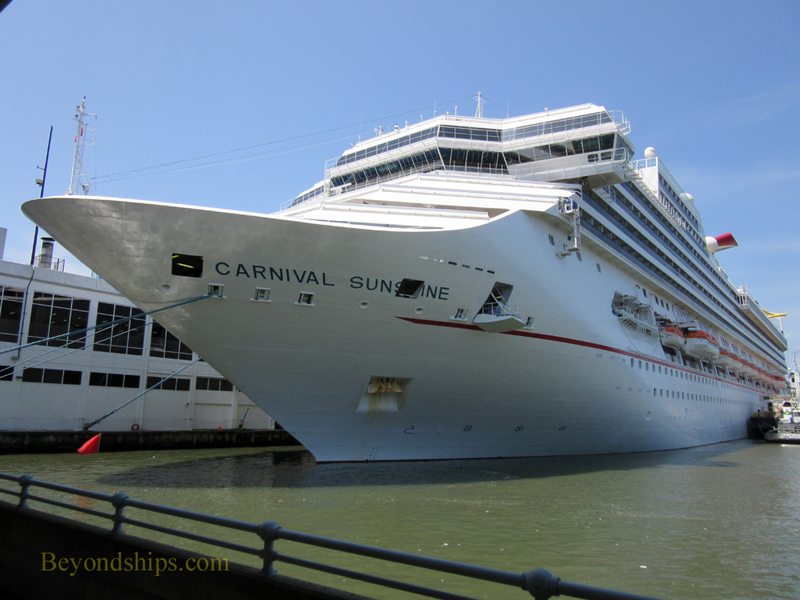 Carnival Sunshine was once the Carnival Destiny - - a landmark ship, both in maritime history and in the story of Carnival. Cruise Lines. “She was the first big ship in the world - - 1996. Of course, everything starts from this one.” The subsequent large Carnival ships were an “evolution” from Carnival Destiny. Whereas most cruise ships refits seek to spruce up or augment what was there before, the Carnival Sunshine project sought to radically change the cruise experience offered by the ship bringing it in line with the cruise experience offered on Carnival's latest ships. “It is now one of the top [Carnival ships]. Everyone who comes aboard really likes the ship. They come here and say, 'Captain, you have a beautiful ship."